Jimmy Buffett jukebox musical Escape to Margaritaville will soon be ending its brief stint on Broadway and it’s…somebody’s fault. I’m gonna go out on a limb and point the finger at alcohol—not because I know anything of the inner machinations of the production, but because this is what the situation calls for. On Wednesday it was announced that the musical will close on July 1. You may be surprised to discover, as I was (I didn’t even know this musical existed!) 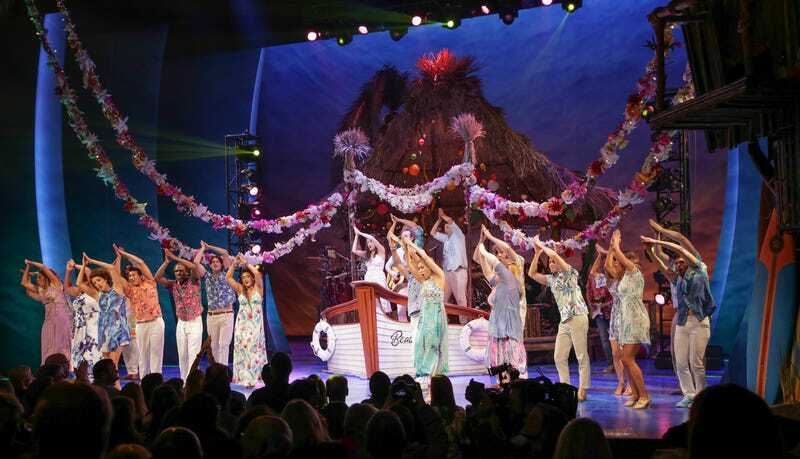 that Escape to Margaritaville wasn’t nominated for any Tony awards in April and is currently playing at 56 percent capacity, according to The Hollywood Reporter. The show will begin a road company tour at Rhode Island’s Providence Performing Arts Center in October 2019. The New York Times wrote of Escape to Margaritaville in it review from March, “If ever there were a time to be drunk in the theater, this is it,” which, in the parlance of the paper of record, is a sick burn. They really did sell margaritas at the show, and yet it’s closing just as frozen drinks are becoming fun to consume again. Obviously the reviewer panned it. He said it didn’t even pass the Bechdel Test! Best of luck to the cast members on their future endeavors!